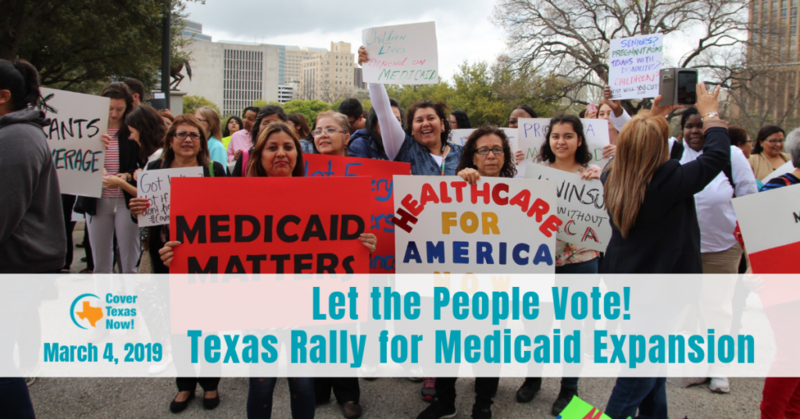 Take action today and tell your State Senator that voter suppression has no place in Texas, and that they must vote NO on the confirmation of Secretary of State David Whitley. In January the Texas Secretary of State — who is a nominee and NOT confirmed yet — issued an advisory that drove Ken Paxton, Greg Abbott and even Donald Trump into a froth of voter-fraud-conspiracy theorizing. To recap: Texas officials flagged 95,000 voters for citizenship reviews. Now their entire case is falling apart. The vast majority of people on the list likely registered to vote after becoming naturalized citizens. But unless the SOS rescinds the advisory, every county in Texas is expected to commit resources to checking the citizenship status of people on the list. Some counties have already sent out letters, while others continue to check the rolls and clean up the mess the Secretary of State made. In 2018 Texans voted in record numbers for a midterm election, and much of the growth in turnout came from Latino voters. 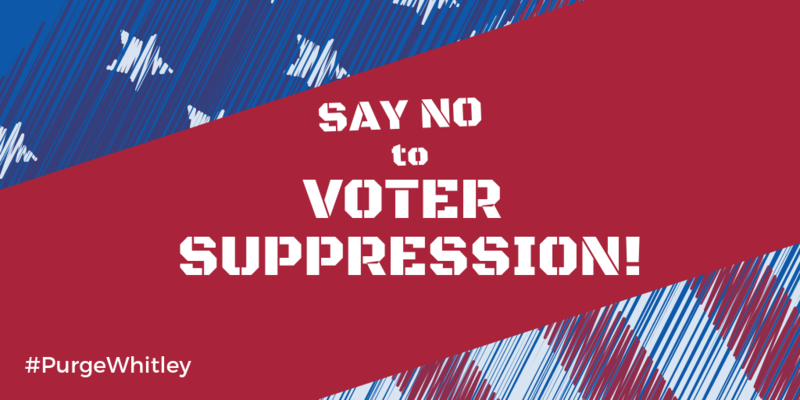 The timing of this attempted voter purge is suspicious, and despite the massive data failures lawmakers are using the purge as the basis for enacting more vote-suppressing legislation this session. In just his first few months in office, David Whitley has proven his incompetence and that he’s inadequate to the task of managing elections and voter rolls. He has lost the public’s trust and shown a chilling lack of respect for our citizens’ right to vote. We believe a Secretary of State should protect, defend and expand our access to the ballot, not create a climate of fear to suppress the vote. As of now, three lawsuits regarding the attempted voter purge are pending against Whitley. As of Thursday, February 14, the Senate Nominations committee had yet to vote on his nomination, despite having held two hearings. We join with our allies who have filed these lawsuits, and the many others who believe David Whitley must not be our Secretary of State. In addition to calling, emails are an effective way to reach your elected representatives. If your reps don’t appear in these campaigns, you can usually find a contact form on their website. Another alternative is ResistBot, which allows you to contact your reps via text message, Twitter, or Facebook—it’s fun! Two years ago, a grassroots movement known as Indivisible started as local groups who met in living rooms, community centers, and places of worship across the state. We expanded our alliances with the many grassroots organizations who came before us. We joined forces and rallied against dangerous bills and proposals that attempted to gut our social safety nets, repeal the Affordable Care Act, and divide our communities (i.e. SB4, the “show-me-your-papers” bill). We decried discriminatory bathroom bills and attacks on reproductive rights. And we worked tirelessly on voter registration efforts, as well as volunteered and canvassed for political campaigns, to contribute to the huge electoral gains that progressives made in Texas. That tremendous energy has not dissipated. In fact, we are newly committed to organizing at the state level and holding our Texas Legislators accountable. Most recently, we noted that a bipartisan group of representatives came out in support of Rep. Bonnen (R-Angleton)’s nomination for Speaker of the House. We understand the need for a Speaker who will do the most good for Texas. And we expect that every lawmaker, including the next Speaker, will be mindful of the seismic shift in the Texas political landscape, powered by people who share a common set of values, and who will continue to vote for a bold, progressive agenda. Restoration of faith in our elections and the integrity of our elected officials, as evidenced by a commitment to voting rights, accurate data, fair elections, and real representation at every level of government. High-quality, comprehensive, affordable healthcare to address the fact that Texas has the highest of the number of uninsured children (and residents) in the country. Access to preventative care is vital to addressing the deep health care disparities in our state, including higher rates of maternal mortality and morbidity among African American women. Compassionate immigration policies that do not inflict harm on communities and that respect immigrants’ cultural, social, and economic contributions to the state. High-quality public education and a commitment to meeting the educational needs of all students in public schools while addressing the practices and prejudices that feed the school-to-prison pipeline. Real solutions to reduce the epidemic of gun violence, beyond thoughts and prayers and “hardening” of public spaces. Confronting climate change through the adoption of renewable and sustainable energy resources, in conjunction with innovative infrastructure development. We believe in a Texas where our best days lie still ahead. And we look forward to continued partnerships that will work towards strengthening our democracy and our great state. Indivisible Austin is proud to endorse the following #txlege candidates for Texas House and Senate seats. 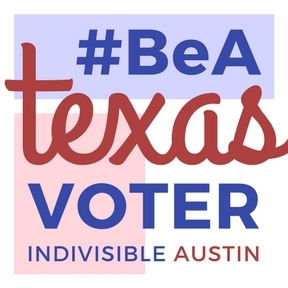 Indivisible Austin considered all the state House and Senate races that cover the five counties that touch the greater Austin area, resulting in the list of candidates you see here. We did not include races that are uncontested. These candidates are promising to fight on some very important issues next session: public school funding (arguably everyone’s top issue), Medicaid expansion, stronger gun safety laws, resisting legislative power grabs against local control, and civil rights protections. Redistricting is still a few years down the line, but we’re already thinking about that. Until we have more balanced representation in the Texas House, we’ll have no chance at fair maps that give everyone in Texas an equal voice with their vote. Double-check your Texas House and Senate districts here. Mike Collier supports property tax reform, opposes gerrymandering and voter disenfranchisement, and supports policies that would close the income inequality gap. His commitment to affordable health care for Texans, a top priority for Indivisible Austin, was a deciding factor in our endorsement. Expanding health care for all Texans is an urgent need. Texas has the highest rate and highest number of uninsured people, including children (new data will be released this week—it could get worse). Nearly 17 percent of Texans don’t have health insurance—TWICE the national average of 8.8 percent. Ten percent of children don’t have health insurance. The state’s current leadership has proven time and again its hostility to solving the state’s health care problems. Why would we expect any solutions if they’re re-elected? Two things in Texas are inextricably linked: property taxes and school funding. For years the legislature has starved our schools by failing to adequately fund public education from state revenues, while forcing local governments to raise taxes to make up the difference. Mike Collier is the lieutenant governor we need to solve these problems. After the school shooting in Santa Fe, the Texas Legislature had an opportunity to enact life-saving policy changes—and they blew it. When the incumbent Lt. Governor came out against any solutions to gun violence, the committee studying the issue failed to recommend a “red flag” law. Collier supports common-sense gun legislation including improved background checks and red flag laws. 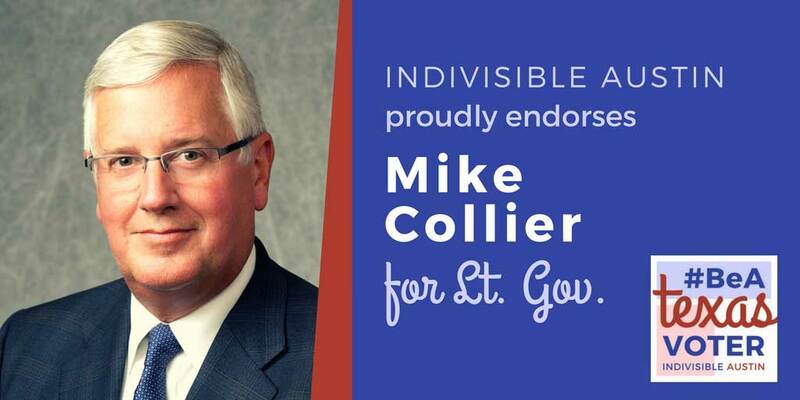 Since our initial primary endorsement, we’ve watched Collier and his campaign gain momentum. The Lt. Governor’s race is absolutely winnable, and extremely important for the future of Texas. Incumbent Dan Patrick, with his fervent desire to discriminate against immigrants and the LGBTQ community and to restrict the economic security of all Texans, must go, and Collier is our pick to defeat him.